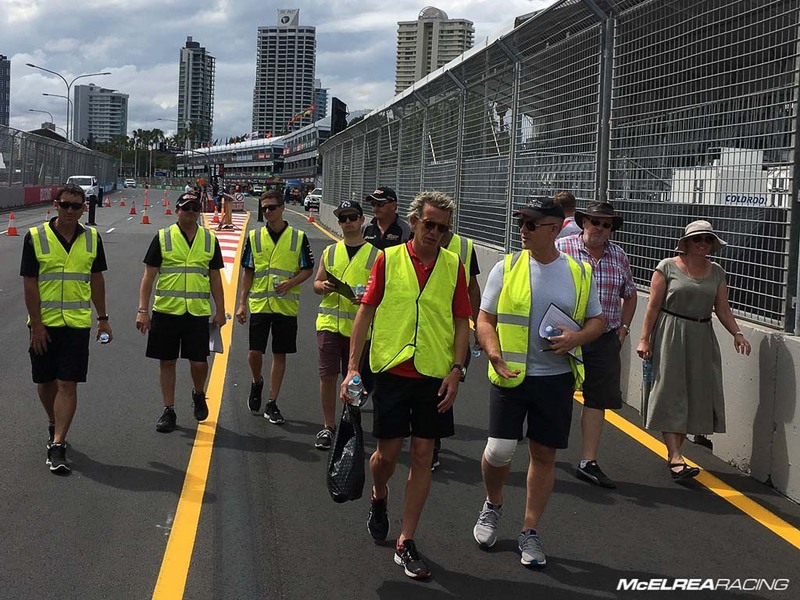 The awesome MR crew was very much looking forward to the final round at our 'home track' Surfers Paradise on the Gold Coast. The weather is warm and there is always plenty to look at! 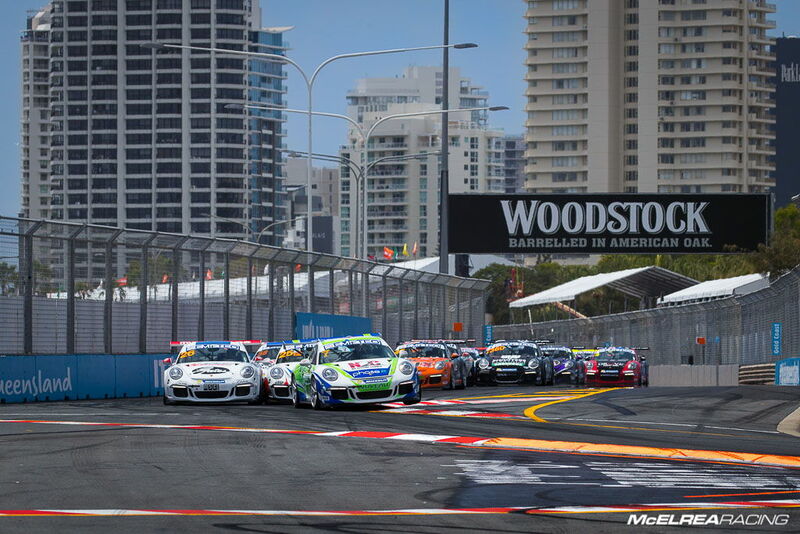 We have a love/ hate relationship with the Surfers Paradise street circuit, losing the lead of the drivers championship there in 2011 and 2014, but on the bright side Matt Campbell jumped from 5th to 3rd in last years championship after a superb weekend. Matt was planning to seal the 2016 Pro Championship and Shane was looking good for second place or even a potential win for his second TAG Heuer Challenge Championship with MR. We also had a healthy lead in the 'Teams Championship' going into the final round of 2016. 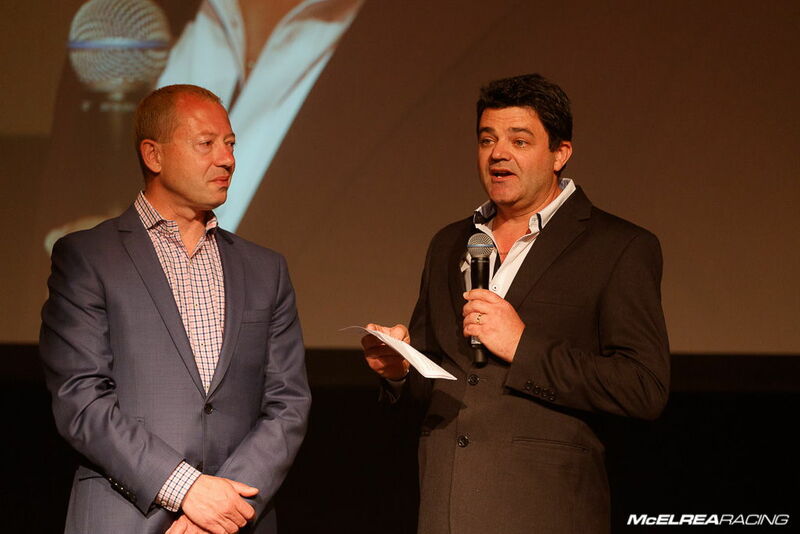 Like the Sandown and Bathurst, McElrea Racing's 'Super Coach' Luffy was co-driving with Garth Tander for the Holden Racing Team and Matt with Todd Kelly for Nissan Motorsport in the final round of the V8 Supercars 'Enduro Cup'. Matt was able to claim a record breaking seventh straight pole of the season. 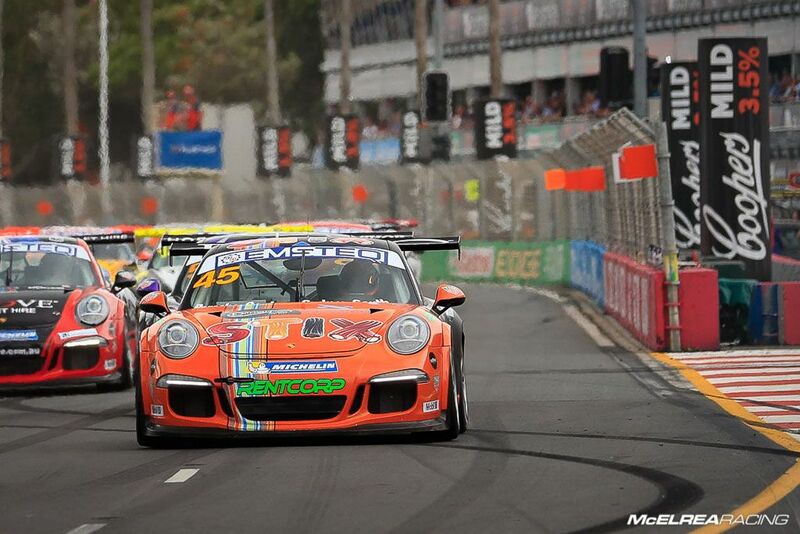 At the start of race one he got a good start and gradually pulled a handy lead over Michael Almond. This win was crucial as it gave him an unbeatable lead in the Championship with two races remaining. 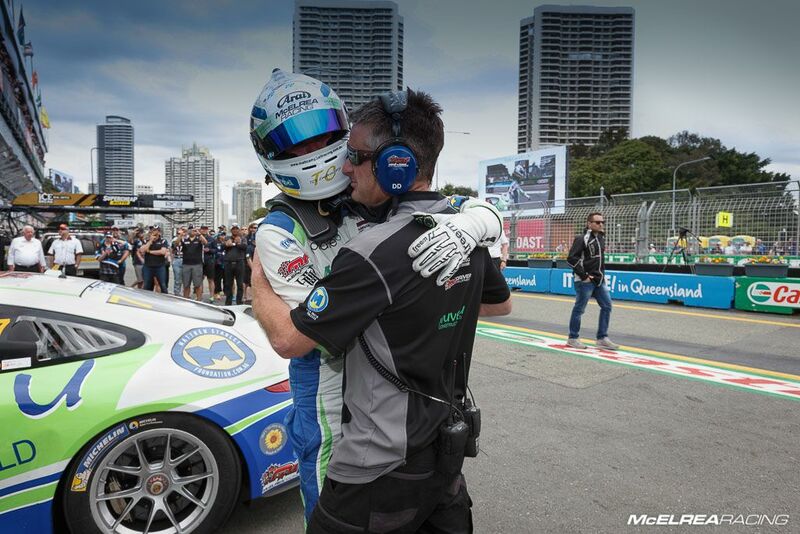 In race two Matt got a great start and like race 1 he delivered a faultless performance and was able to pull another handy lead and take the win over Alex Davison. He also captured the fastest lap of the race. 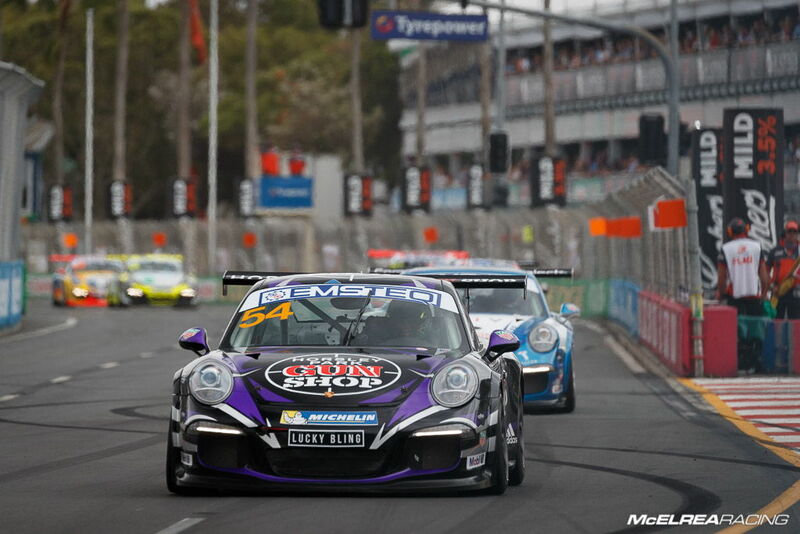 In race 3 Matt was beaten off the line by Alex Davison and Michael Almond who both snuck past at turn 1. While he tried everything he could to pass an inspired Almond, he couldn't risk damage which would have cost him the round win. Two wins and a third was enough to win the round and to top-off an extraordinary season. Duvashen qualified 7th in Pro class. 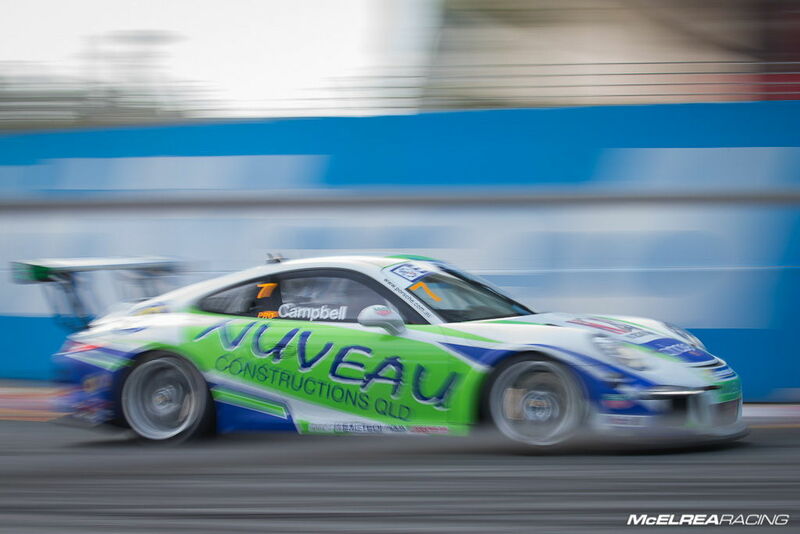 In race 1 he drove consistently quickly and had a great race with ex V8 Supercar driver David Wall to finish 7th in Pro class. In race two he has very happy with the handling balance of his car. While the race panned out similar to race 1 he was able to capture his fastest lap of the race on the last lap. In race 3 he had another great race with David Wall and tried every trick in the book to get by and finished less than half a second behind at the chequered flag. James qualified 12th in Pro class. Like Bathurst, we wanted James to keep a small margin up his sleeve and be sure to gain the experience needed for his 2017 Championship campaign. 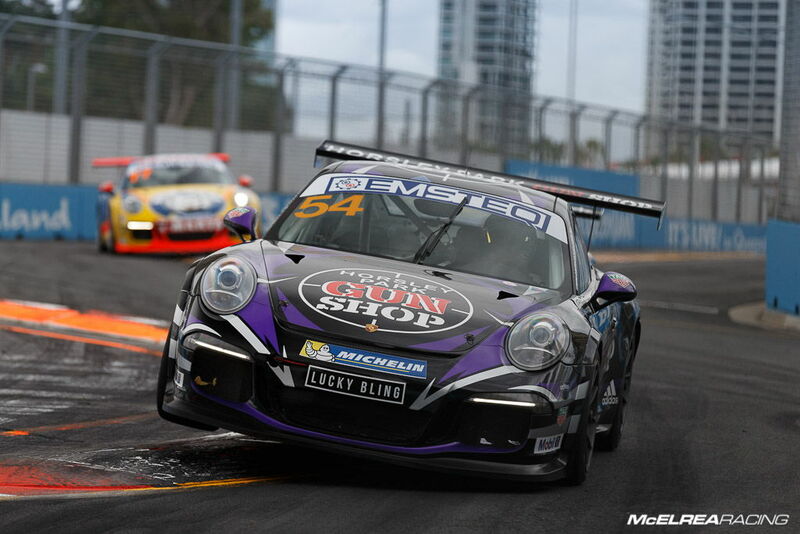 As a result, in race 1 he took a conservative approach and finished 11th. 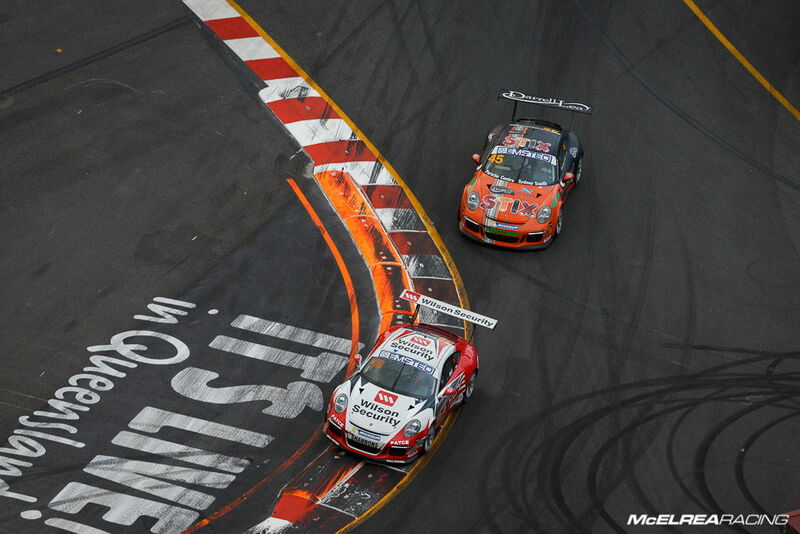 In race 2 he diced with McBride for a few laps then settled into his own rhythm. He picked up a spot when McBride served a drive through penalty, then another when Walden was penalised for exceeding track limits. In race 3 James got a ripper start and ran 9th until swapping positions on laps 8, 9, 13 and 15, eventually ending up back in 9th ahead of fellow young-gun O'Keeffe. Shane came to Surfers third in the Championship, 99 points behind Bates and only 1.5 points behind Bergmuller. With 180 points available at the final round, we were very confident of at least 2nd in the Porsche TAG Heuer Challenge Championship. Unfortunately, Shane had a loose into the turn one chicane in the first practice session making heavy contact with the concrete wall. Unfortunately the Porsche officials declared the chassis damage too significant with the car requiring a new bodyshell in order to be repaired correctly. 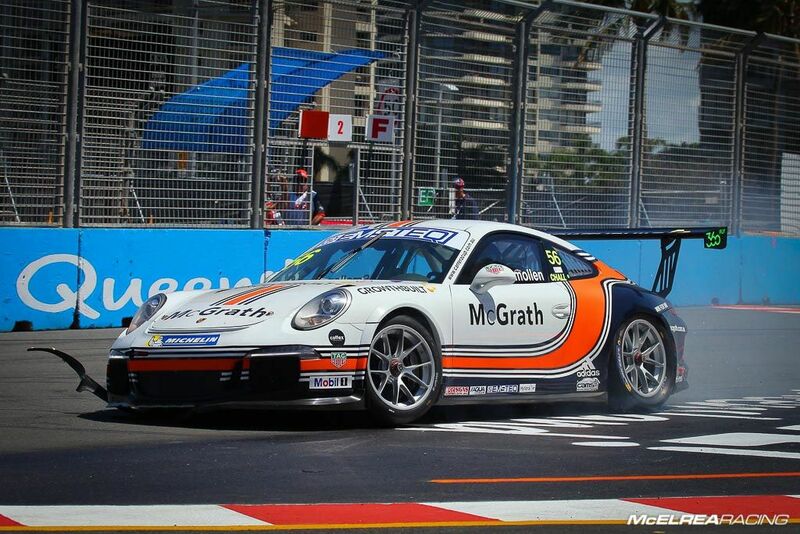 Matt is the 2016 Australian Porsche Carrera Cup Champion and McElrea Racing is the 2016 Teams Champion! 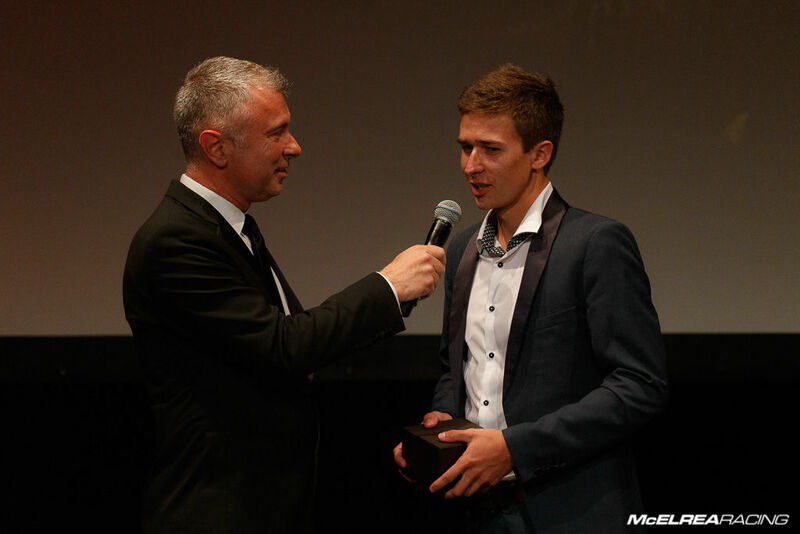 Matt also picked up a new TAG Heuer watch for the most 'fastest race laps' during the season. 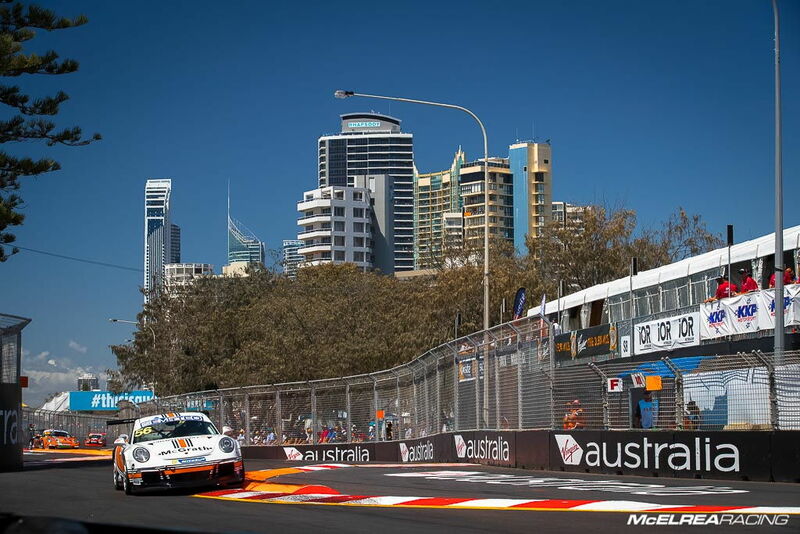 MR drivers have finished in the top three of the Drivers Championship every year since 2011, so it was particularly rewarding to win the Championship with a driver we introduced to Porsche racing and developed over the past 3 years. Consistent with our relationship with Surfers, Shane's championship ending accident was devastating for driver and team. After winning the TAG Heuer Challenge Championship in 2015 we are hopeful Shane comes back in 2017 to reclaim his crown. Duvashen had a terrific weekend racing in the lead pack with great pace and plenty of clean battles. His studies will take priority in 2017 but we are planning to run 'DP' in selected events that don't clash with his studies. We are really impressed with James's growth this year and particularly showing the team that he is prepared to follow orders even if they mean backing-off slightly to gather valuable track time at some temporary circuits. In pre-season testing we will be focusing on one-lap qualifying speed. 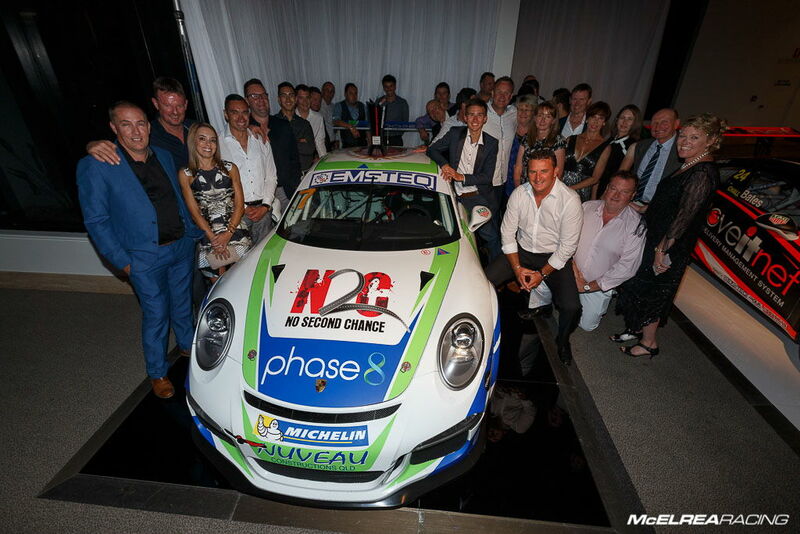 Many thanks to Kurt and Matleena from Porsche Motorsport for an impeccably organised Championship and tremendous Awards Dinner and celebrations and of course a huge thanks to ALL of the awesome MR guys and girls and their families for allowing them the time to do what we love. 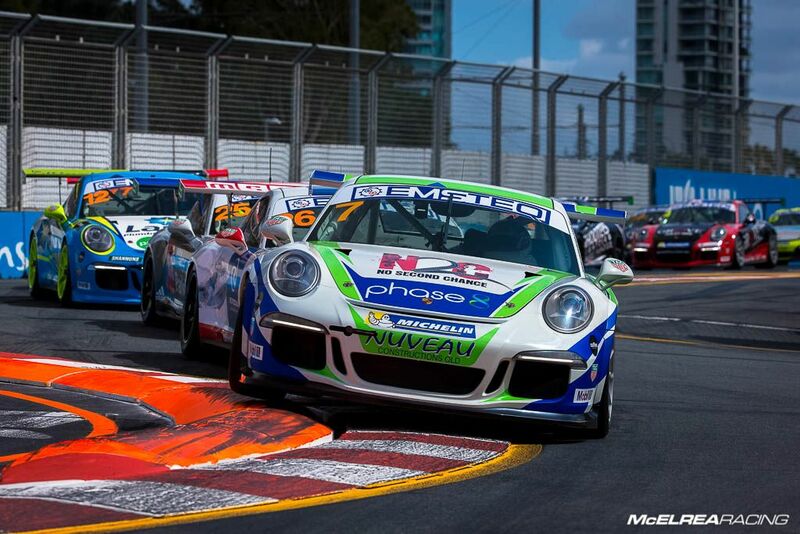 Although the Carrera Cup Championship has been run and won we still have two more Australian GT rounds in New Zealand over the coming weeks. Thanks to Darin Mandy from Digital Realism for some of the great action photography.